We at PointClickSwitch want to help you get the most bang for your buck when it comes to your energy expenses. 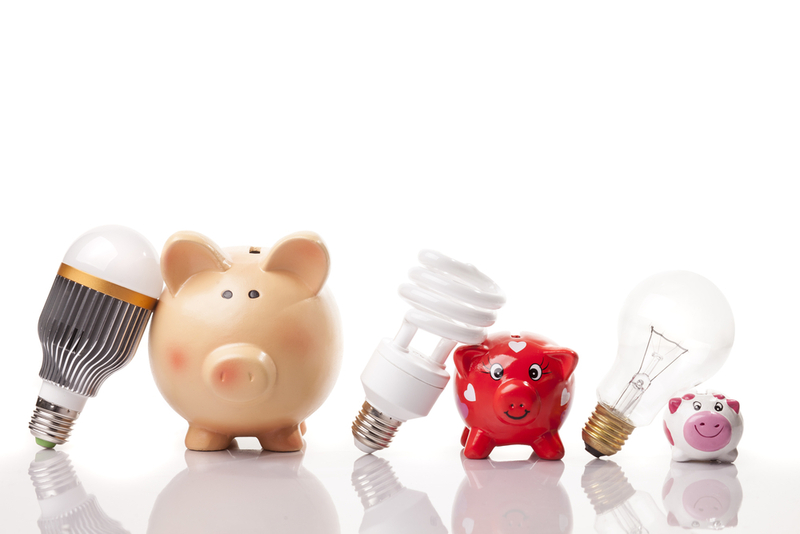 One of our favorite money-savings hacks is to take advantage of LED bulb savings. Although LED bulbs cost more up front than traditional, they last longer and can save you some mean green in the long-term. A recent cost analysis by the Consumer Federation of America (CFA) showed that an average household would save $1,000 or more over a decade simply by swapping out their traditional bulbs for LEDs. Type Of Light Source: LEDs contain a mix of red, blue or green diodes (to make white) and are extremely tiny – similar in size of a speck of salt or pepper. Specific Direction: LEDs emit light toward a specific direction, which virtually eliminates the need for reflectors and diffusers that can trap light, like traditional light bulbs do. This makes LEDs highly versatile and functional for the average consumer and ideal for applications such as recessed lighting. Reduced Heat: Incandescent bulbs and CFLs release upwards of 80% of their energy as heat, while LEDs emit very little heat at all. In 1962, the first visible-spectrum LED was invented in the form of red diodes by Nick Holonyak, Jr. while he was working for General Electric. Following this invention, yellow and green diodes were developed while electric companies across the globe continued to improve their red diodes. The creation of the first blue diode in the 1990s led to the discovery of white LEDs that would later evolve into the LED light bulbs that we use today. Initially, researchers simply coated the blue bulbs in a phosphor to make them burn white. Once they were able to demonstrate white light by using a combination of the blue, red and green diodes, LEDs achieved mainstream use in the appliances and electronics that we have today. How Many LED Bulbs Does It Take? In 2016, Sylvania conducted a Socket Survey to examine LED usage in the United States. At the time of the survey, more than 75% of people surveyed believed that LED lights would eventually replace traditional lighting, and more than 60% of these consumers said that smart lighting fit their lifestyle. Survey results revealed that nearly 70% of consumers had purchased at least one LED bulb. 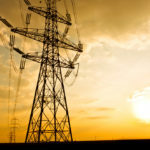 The Department of Energy’s (DOE) Energy Saver group has indicated that widespread adoption and use of LEDs throughout the US by 2027 could save the equivalent electrical output of 44 large electric power plants, estimated at more than $30 billion at today’s prices. Although prices of LED bulbs are more economical to purchase than when they were first introduced, they are still more expensive than incandescent and compact fluorescent (CFL) bulb counterparts, but they are way cheaper to run. There is a lot of variation in the price and quality of different bulb types, but here are some comparison cost examples based on a typical home with 25 light bulbs running for 100 hours per month. An incandescent light bulb costs about $0.75 and will cost about 1.0 cent per hour to run. It lasts for around 1,000 hours. Annualized over ten years, a typical home’s annual lighting cost would be $22.50 for replacement bulbs and a hefty $300 for electricity. A 23-watt CFL bulb produces around the same amount of light as a typical 100-watt incandescent, but costs around $3. The CFL costs around 0.23 cents per hour to run and lasts for 8,000 hours. Annualized over ten years, a typical home’s lighting cost would be $11.25 for replacement bulbs and $69 for electricity. A 14-watt LED bulb also produces around the same amount of light as a typical 100-watt incandescent, but costs approximately $6. The LED costs around 0.14 cent per hour to run and lasts for 25,000 hours. Annualized over ten years, a typical home’s lighting cost would be comprised of nothing for bulb replacement and only $42 for electricity. Switching to LEDs, especially from incandescent bulbs, is just one way to lower your electric bill. Another easy way to save on electricity is to be sure you’re getting the best electric rate from your provider. PointClickSwitch can help. Just snap a picture of your utility bill with your phone, give us a couple of pieces of information and we’ll help you find some savings. Learn more here.